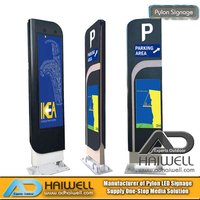 Smart pole digital led display is a special application for city streets, shopping mall, commercial center, exhibition etc. 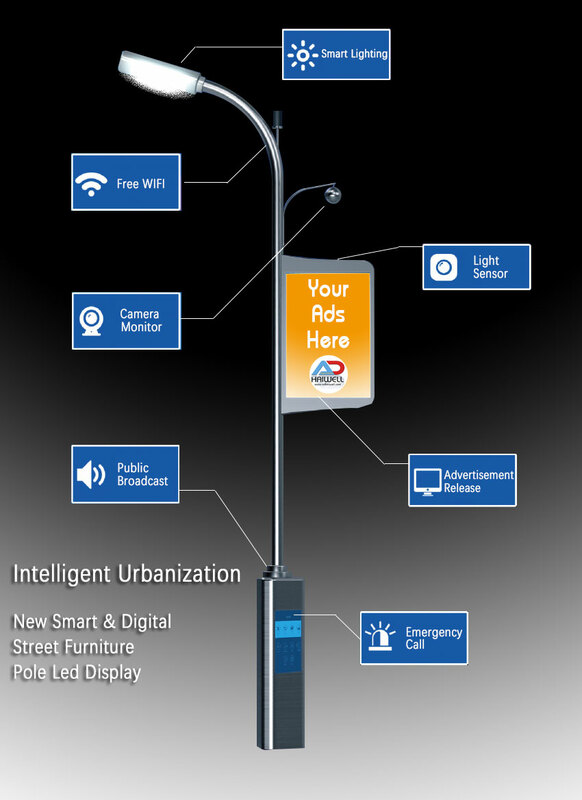 It installs on the pole, like a street lamp led light pole. 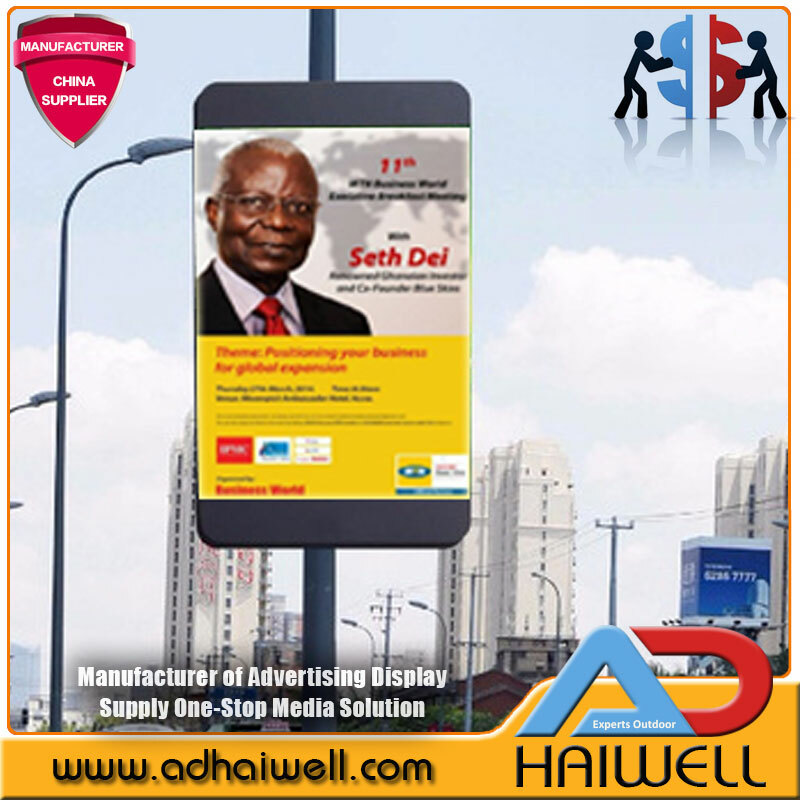 The most attractive advantage is shocked advertising effect when all the pole led display change images or video at the same time with wireless 3G/4G connection and cloud control system. 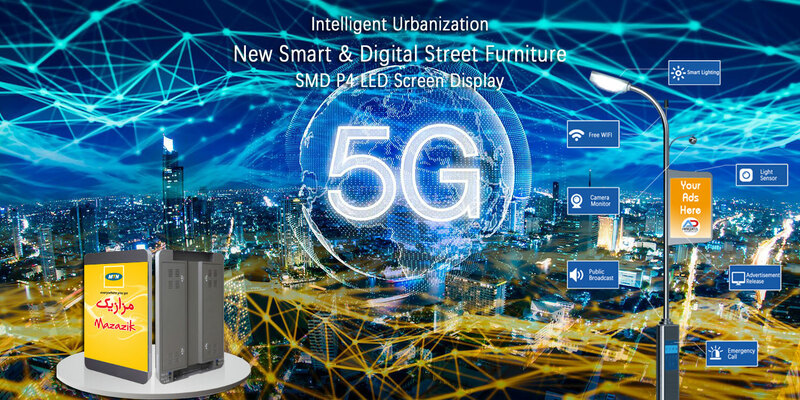 The 5G era will give birth to a huge emerging market - the application and operation management of urban new smart street furniture of lamps pole with led screen, which cannot be separated from the supporting role of city smart street pole LED screens display. 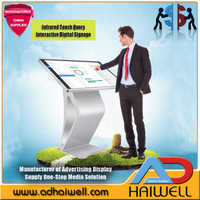 The smart pole LED screen advertising display is high density, high brightness, waterproof, easy installing, cluster control product. 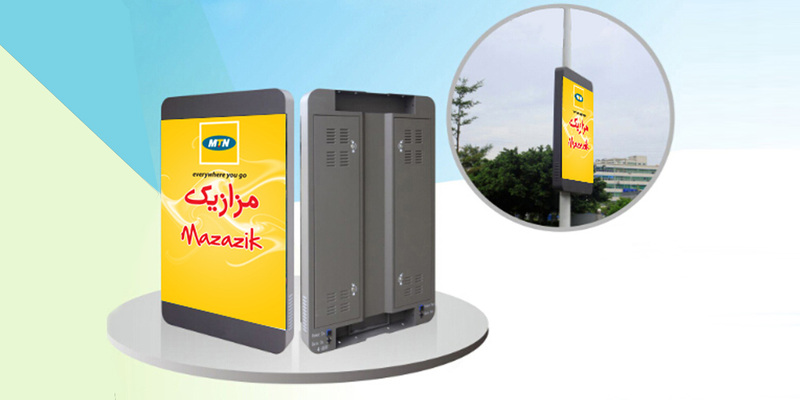 Suit for outdoor using on a city street, hanging on a pole, standing on the ground, mounting on the wall etc install solution. 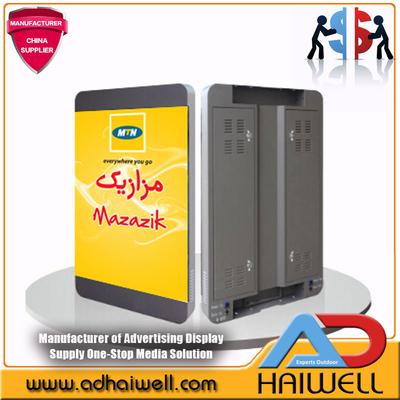 The digital street furniture of smart led screen display units equipped offering unrivalled outdoor image quality: strategically positioned across the entire area, it alternates between real-time local information and advertising, providing useful information for the public and exceptional visibility for advertisers. 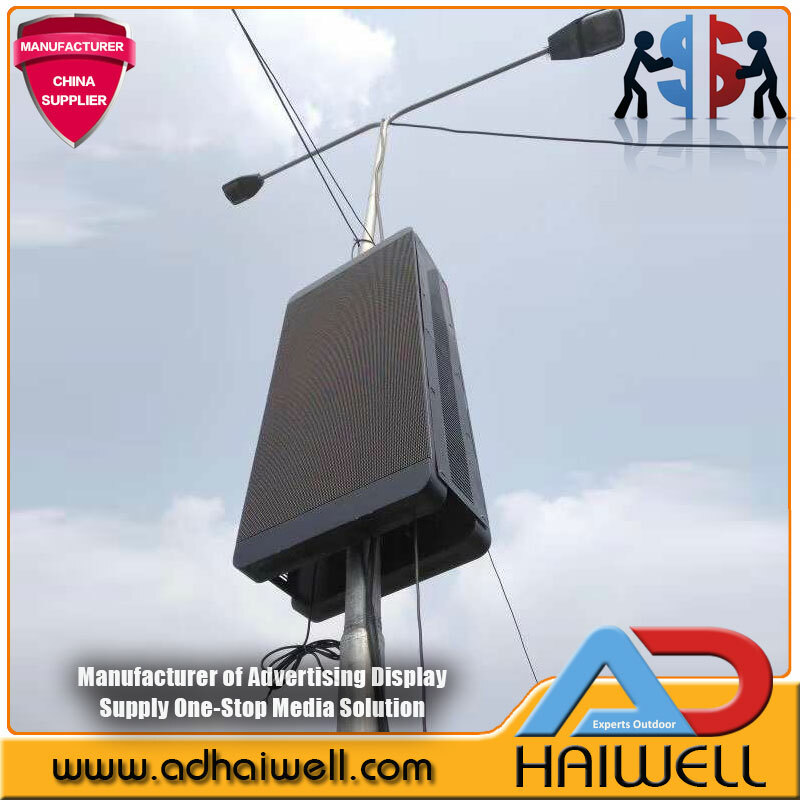 What is the reality of City Smart Street Lamp Pole LED Display in the 5G era? 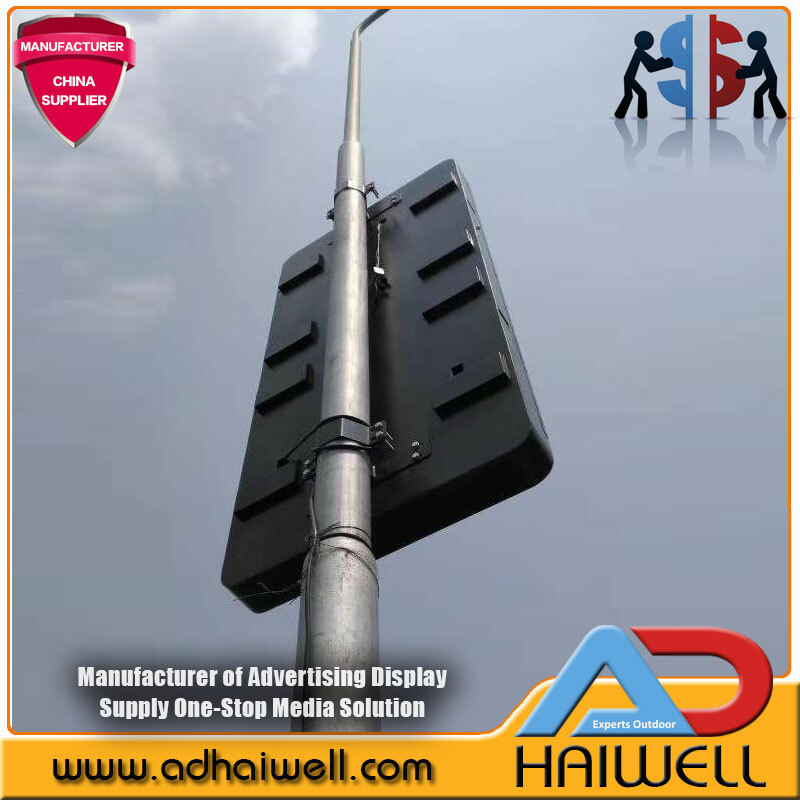 Adhaiwell's street lamp pole smart led display is classic integrated led display. 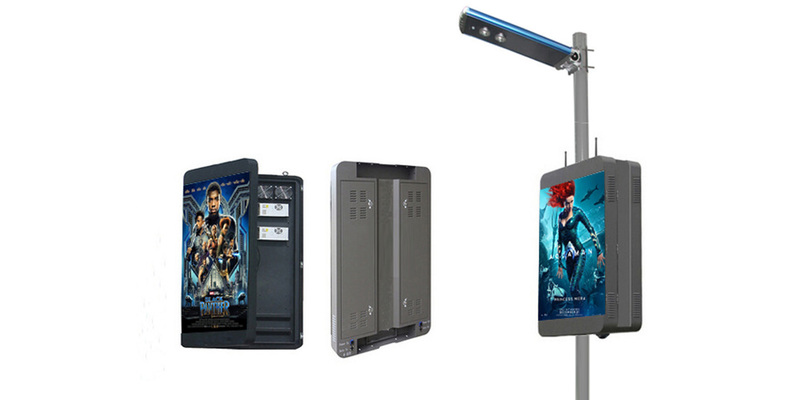 The real smart pole LED screen is an information dissemination medium in the field of smart city terminals with outdoor highlighting, high-definition power saving, cluster control, remote synchronous playback, automatic brightness adjustment, remote power switch, intelligent led monitoring, voice, and video interaction. It also provides live temperature, weather, time and traffic information. 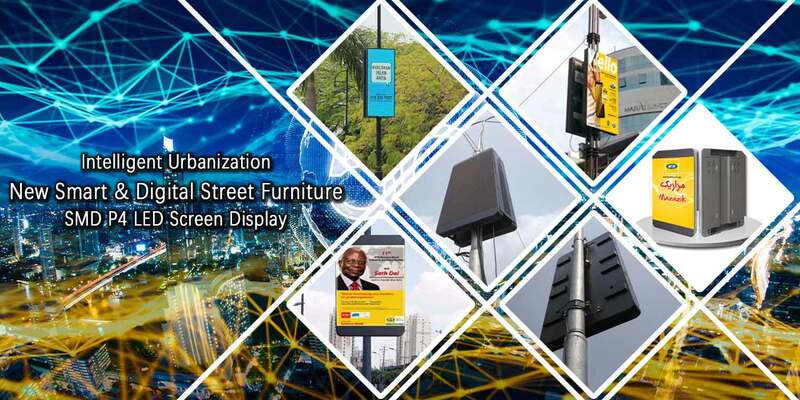 The integration of functions has more satisfied the application requirements of city street lighting scenes, and also allows users to feel the convenience and value of smart street pole led display first. Remote mass control: 3G/4G / WIFI / USB control. 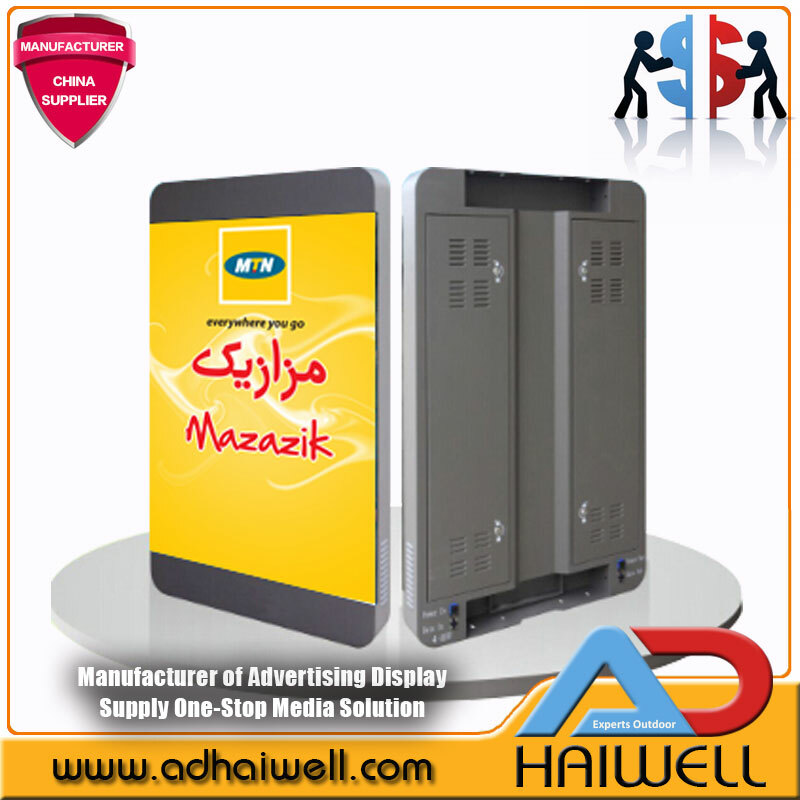 Large-scale remote cluster control, wireless remote real-time publishing information, and unlimited control of the global terminal.